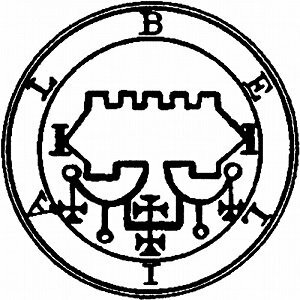 The Brainwave Entrainment Audio contained herein is for tapping into the great King Belial. The frequency used is GAMMA, with a musical accompaniment, which will hasten your mind for his conjuring and place you in the right state for his presence. He was created as the first, after Lucifer..He has the power to distribute senatorships and gives excellent familiars. He must be presented with offerings, sacrifices and gifts, or else he will not give true answers to demands.